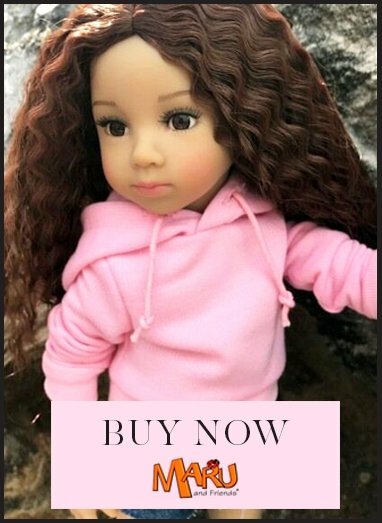 Brand: Fun In Faith Eye type: Brown/ Fixed Size: 21cm/ 8 1/4" Hair: Light Red/ Wig Articulation: 5 points Booklet Version: English The Fun In Faith dolls of South Africa, were launched in August 2015. They are princesses from the Old Testament Bible brought to life for play, in colourful and very beautiful costumes and with an array of accessories to stimulate the imagination, perfect for re-telling their story. Their olive brown skin is in keeping with their Bible character. The booklet is available for Christian or Jewish faith, so be sure to select the doll with either ENGLISH or JEWISH in the title. Each wonderful gift set includes everything needed for characterful play: A 21cm vinyl doll. An outfit the beautiful doll wears, and one pair of shoes. A small illustrated booklet that tells the story of the particular doll in a clear, yet informal way. The scripture reference for Bible reading is given at the end of the booklet. A handmade bracelet with a laser cut disc for the girl. The disc reflects one word, which describes the central message of the Bible story. For Rebekah this word is "Loving". A printed backdrop to set the scene for the recreation of the story. A plastic storage case to keep all items safe. For My Doll Best Friend customers, a second outfit has been included, which you can see in the final photograph. The artist who designed the Fun In Faith dolls is Sonja Hartmann who also sculpts the Kidz 'n' Cats and Mini Kidz 'n' Cats dolls. They are made entirely of vinyl and have five ball joints for full posability. They can sit and stand on their own. They have acrylic-glass eyes, eyelashes and hair that can be combed. They are only 21 cm (8¼”) tall. They can share clothes and shoes with the Mini Kidz 'n' Cats dolls. These dolls are excellent quality and their characters retell stories that have fascinated old and young for generations. We feel sure they'll bring something very special into your life!